On September 21st, 2012 Congressman Daniel Webster from Central Florida read into the Congressional Record his recognition of Honor Flight Central Florida. As part of that recognition he listed the WWII Veteran scheduled to take our October 10th, 2012 flight. 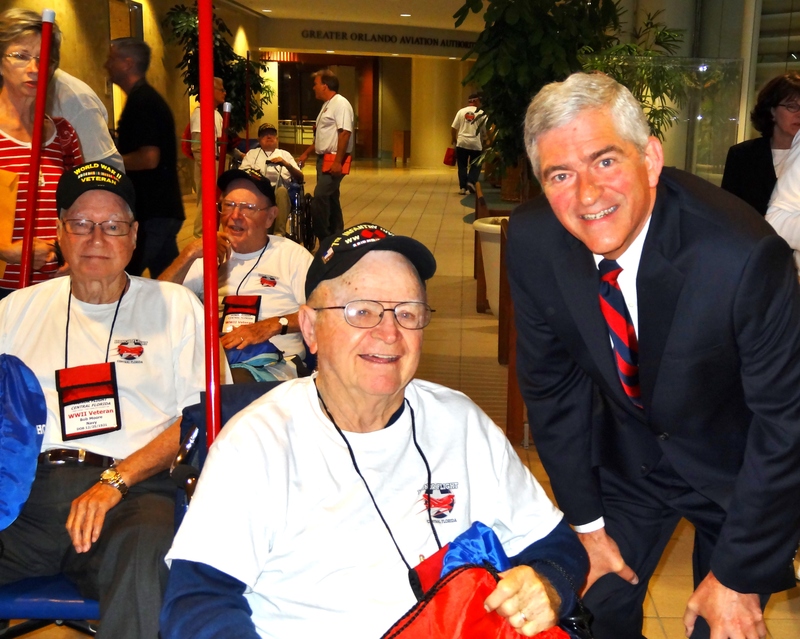 Thank you again Congressman Webster for your continuing encouragement in support of our mission to honor and serve our Greatest Generation. As this post is being written one year later on September 21st, 2013 we are pleased to report that over the past two years Honor Flight Central Florida has flown six missions, 25 WWII or Korean War veterans at a time with a double mission scheduled on October 19th, 2013. When that final mission of the 2013 season is flown we will have served 201 veterans. Without the early encouragement and support of the community, the recognition of community leaders, and countless volunteers over the past two years we would have not been able to succeed.